2013 Port25 Solutions, by the Numbers: Year In Review Infographic | Port25 Solutions, Inc. Here is an infographic depicting a few Port25 facts by the numbers in 2013. It’s our way of sharing what we think is important to you. 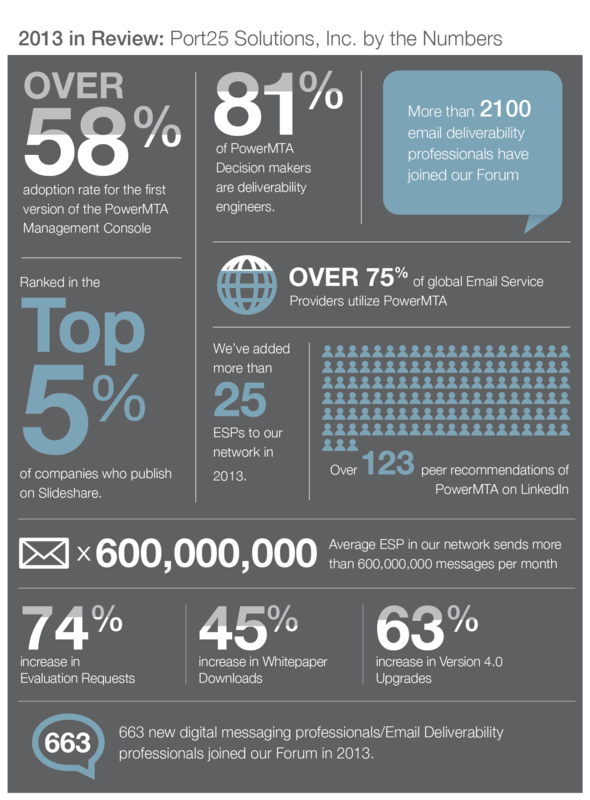 Some of the highlights include, average numbers of emails sent per ESP in our network and much more. Enjoy.